It’s Christmas. Projekt Gets Ornamental. I just got in my first Christmas album of the season and the tree-topper has been set high with Ornamental, a collection from the Projekt label. Best known for their dark ambient and Goth recordings, as well as great electronic releases from Steve Roach and Erik Wollo, this is their latest incursion on holiday music. They had previously released a series called Excelsis, of which the first, A Dark Noel, remains among the most distinctive and haunting seasonal albums ever. With Ornamental, Projekt expands their seasonal pallet in a double CD that ranges from electronica to goth, space music to shoegaze, medieval to mystical. It launches with the corniest Christmas tune possible, “Frosty the Snowman,” but Paulina Cassidy turns it into snow shrouded electronica dream. It makes a perfect entry into the vertiginous holiday soundscape of Ornamental, although she’s a little less successful on her other two entries. There are a lot of post-Cocteau Twins shoegazer ruminations on the album. Autumn’s Grey Solace swirls sparkling snow flurries around “Through the Snowy Trees” and Ashkelon Sain & the Dorian Fields turn “The Christmas Song (Chestnuts Roasting on an Open Fire)” into a moody My Bloody Valentine-like ode to a bleak winter. 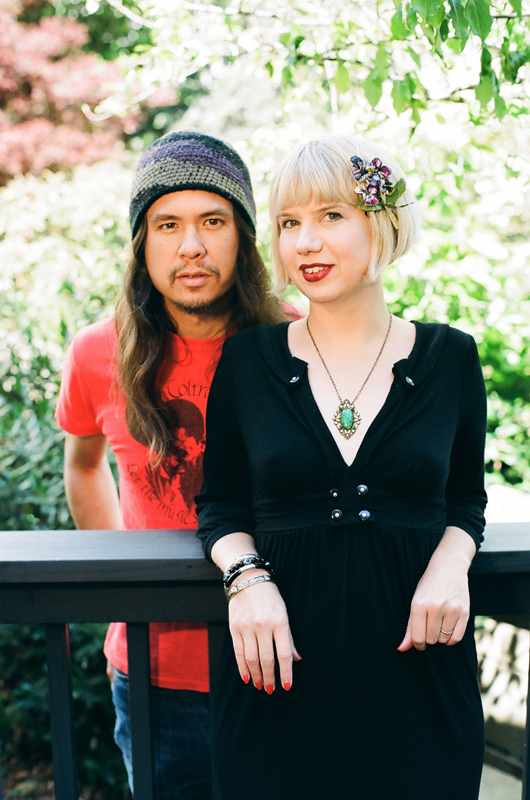 Unto Ashes delivers their post-Cocteau Twin’s sound upon “King of Frost” sounding like medieval shoegaze troubadours. LoveSpirals, who had a couple of my favorite Excelsis songs, (“Welcome Christmas” in their Love Spirals Downwards edition and “Aspen Glow” as LoveSpirals) return with another evocative seasonal song, an original called “Happy Holidays” featuring Anji Bee, who sings it with sophisticated élan, like she’s casting knowing glances over her shoulder against Ryan Lum’s chiming guitars. The two discs of Ornamental are divided into the “Traditionals” and the “Non-Traditionals.” The Non-Traditional disc opens with a song from the score of the ultimate Christmas album for hipsters, the “Merry Christmas Mr. Lawrence,” soundtrack. But Ornamental goes deeper than the oft-covered title track and play “Forbidden Colours,” composed by Ryuichi Sakamoto and David Sylvian. Black Tape for a Blue Girl, the band headed by Projekt label head Sam Rosenthal, delivers it with their usual funereal, vampire dirge. Some don’t make it. Maroulis, Koehn and Mooney’s “Ave Maria” is ponderous gothic chant; Ego Likeness’ “What Child Is this” is clichéd goth spookiness; and The Last Duchess’s “Cradle Song” is a lot of echo and reverb signifying nothing. But there’s also the contrast of All My Faith’s Lost delicate, folk reading of “In the Bleak Midwinter” with KatzKab who take “My Sad Wishlist” on a girl-group romp somewhere between the Shangri-Las and The Waitresses. 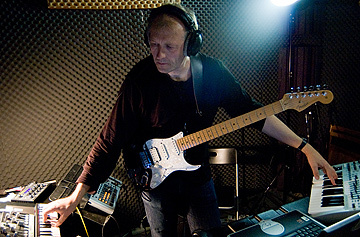 Norwegian synth-guitarist Erik Wøllo pretty much drips icicles on almost anything he’s recorded over the last 3 decades. Whenever he comes through Echoes, we always try to get a seasonal set out of him and he graciously obliges. He does it here with a pair of sparkling “Crystal Bell’s that close Ornamental in a meditative fashion. I’ve been begging for musicians to create a different kind of seasonal music besides the rote rendering of the same 25 or so holiday chestnuts over-roasted on an open fire. Projekt has been fulfilling that since 1995 with Excelsis. Ornamental takes them in a slightly less gothic and doom-laden mode and makes it a likely pick for the best seasonal CD of 2012, if your tastes in seasonal music heads towards the abyss. Philadelphia’s Concert scene is heating up as the weather cools down. Here’s some of the concert appearances in the next 9 days with a lot of Echoes artists coming in. See Ryuichi Sakamoto listing below to win a free pair of tix and his new double CD Playing the Piano/Out of Noise. W/Eric Johnson, Andy McKee and Peppino D’Agostino. A trio of great guitar players in solo sets. 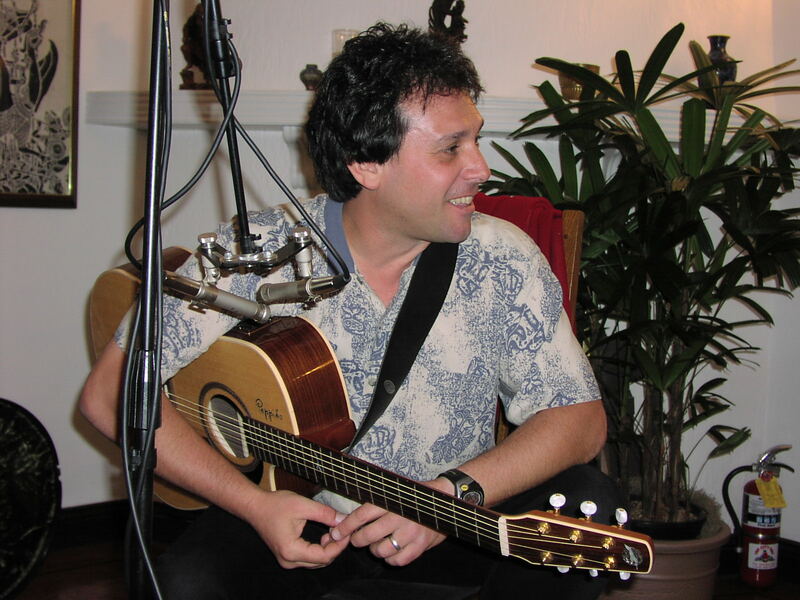 Peppino D’Agostino is an Italian guitarist purveying delicate finger-style compositions. Andy McKee is from the new generation of tapping guitarists and has made quite a name for himself. Eric Johnson is better known in metal circles, but I’m assuming he’ll unplug for this. One of the true giants of contemporary jazz piano, Matthew Shipp brings an enveloping sense of melody, a architect’s sense of space, (if the architect is Gehry) and an explorers sense of adventure. Not to be missed. Erik Wollo has had more Echoes CD of the Month selections than anybody, including his last album, Gateway. And Philly has gotten to hear him live more than any city in the country. He returns, playing new music for space guitar and synthesizers. This will be the recommended concert next week. 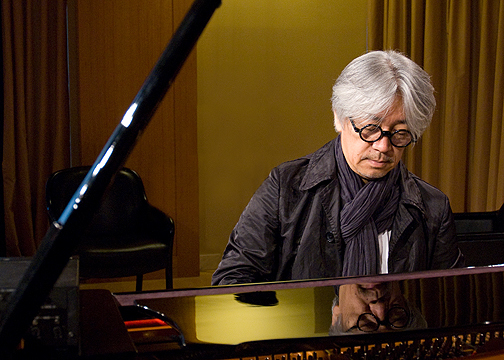 Ryuichi Sakamoto is a legend of eclectism and an artist who musicians always seem to love. He’ll play the Keswick performing a solo, acoustic piano set. You can get a preview of this Monday night on Echoes when he plays live on the show. Echoes Top 25 for June: Erik Wollo’s Gateway #1. Erik Wollo’s Gateway, our June CD of the Month, leads the way for the Echoes Top 25 for June. Erik Wollo’s Gateway tops the Echoes Top 25 for June. That’s no surprise since it was the Echoes CD of the Month. But following right behind it is Carbon Based Lifeforms and Interloper, another great album of darkly shadowed, melodically rich music from this Swedish duo and the French Ultimae label. And don’t look now, but next month’s Number One album can already be found at Number 3 this month, Carmen Rizzo’s CD of lush electronica, Looking Through Leaves. You can see the complete list of Echoes Top 25 for June. Erik Wollo’s Gateway Echoes CD of the Month for June. Veteran Norwegian Composer places 4th Echoes CD of the Month. 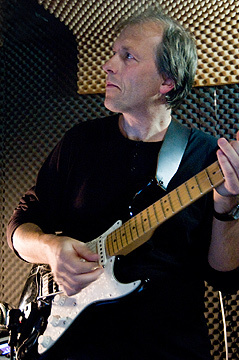 Erik Wollo is an architect of ambience, a poet of electronic landscapes. Employing “cinematic” as an adjective for this music is a tiresome cliche, and it’s been applied to everything Wollo has recorded. Yet, on his latest CD, Gateway, There’s no denying the way his sends you piloting down canyons, soaring between mountains and launching on trajectories somewhere toward the heavens. Put the title track of Gateway on loud while driving, and your car won’t be the only thing on cruise control as Wollo’s music turns an everyday commute into a fantasy journey. On songs like “Life in Technicolor,” groups like Coldplay try (with the help of Jon Hopkins) to attain the same kind of timeless, shifting mood that is Erik Wollo’s stock in trade. And like them, Erik Wollo brings a minimalist’s sense of austerity and design to expansive synthesizer orchestrations on the heroic strains of “The Traveler.” It’s that perfect Wollo mix of ping-ponging electronic rhythms and melodic pads that sweep in searchlight patterns. With all the electronics, it’s almost easy to forget that Wollo is a gifted guitarist. 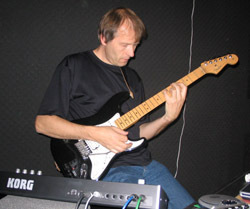 Most of the music is generated from a guitar or guitar synthesizer. He can make his six strings sound like an electronic symphony and on the highly ambient tracks that conclude the album, like “The Mental Trail” and “Full Circle,” it sounds nothing like a guitar at all in their glacial motion and vast, horizon-like textures. But on pieces like “First Arrival” he can also pull out twanged liquid leads. Erik Wollo manages to synthesize influences from Tangerine Dream and Pink Floyd to Steve Reich and modern electronica. But as one of the most distinctive voices in contemporary instrumental music, he’s truly morphed these sounds into a image evoking modality that is wholly his own. Step through Erik Wollo’s Gateway and you’ll see his world revealed. Gateway is the Echoes May CD of the Month. We’ll be featuring several tracks from it on Monday, June 7 and the following weekend. Steve Roach & Erik Wollo: A Norwegian ambient artist descends in the Arizona Desert. You can hear an audio version of this blog, with music. Steve Roach lives on a horse ranch in Arizona, surrounded by saguaro cactus and 100 degree plus heat. Erik Wollo lives in Norway surrounded by mountains, snow and nights that can last the entire day. Their musical landscapes aren’t that similar either. 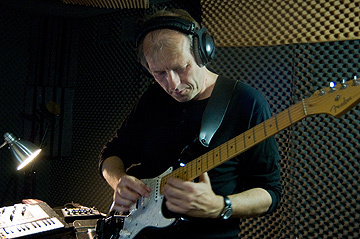 Erik Wollo, composes plaintively melodic music, conceived around his guitars and electronics. Steve Roach on the other hand, has built his reputation on expansive, slowly evolving works, with roiling textures usually free of obvious melodies. Yet, the two musicians got together on a CD called , Stream of Thought, on which they’ve found a meeting ground between melody and mood. “And for me it’s probably one of the most non-melodic albums,” counters Erik Wollo from his Frederikstad studio. Roach and Wollo have been mutual fans for years. Wollo remembers first hearing Roach’s Dreamtime Return release. You might not pick it up on first listen, but the initial inspiration for Stream of Thought came from driving. After their first meeting in 2004, the musicians spent a couple of years sending music ideas back and forth to each other. “Erik had sent me materiel for an album originally called “Music for Cars,” says Roach. “I have his music in my car and he has my music in his car,” says Wollo. That driving music evolved into Stream of Thought. It is at once expansive and detailed. In a fashion atypical of Roach, it’s composed of short vignettes and motifs that crossfade into a continuous work. It launches with Wollo plucking multiple mandolins in a rapid, Reichian fashion as Roach brings in swirling pads and before you know it, your off into a work that swerves from rhythmically driving acid drops in “Part Two” to gently floating guitar arpeggios in “Part 9.” The fact that Wollo is a guitarist as well as a synthesist lends Stream of Thought more melodic contour than you’ll usually hear from Roach. And Roach brought in his reignited passion for analog synthesizers and sequencer patterns. Although Steve Roach and Erik Wollo travel in different music spheres, they each pass through space, electronic and ambient terrain. When they got together in Roach’s Arizona studio for the final sessions of the album, they fell into synchronous orbits. 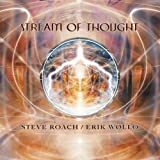 You can hear the merged minds and music of Steve Roach and Erik Wollo on their album, Stream of Thought from the Projekt label. We’ll hear an interview with the two musicians on Echoes Monday 3/23/09. This has been an Echo Location, Soundings for New Music. To listen to an audio version of this blog with music, go here.